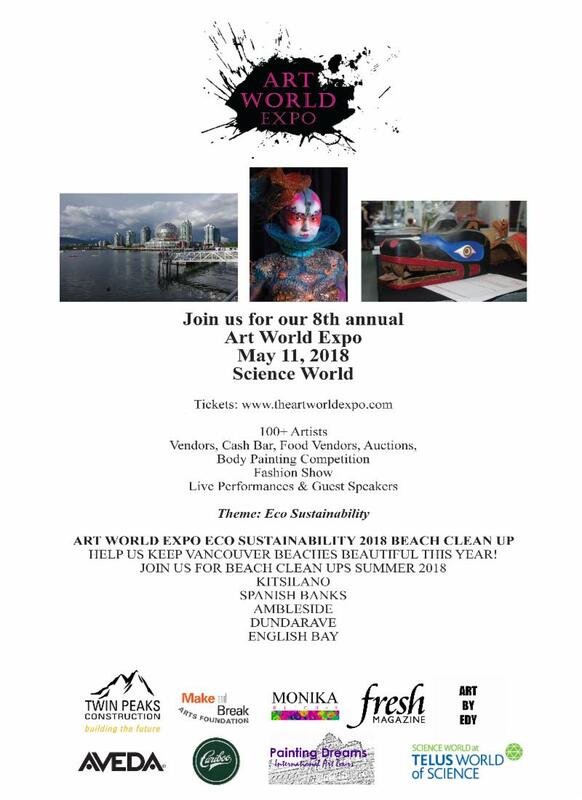 5 Days Away-8th Annual Art World Expo Happening Friday, May 11, 2018 in Vancouver! Art World Expo is THIS FRIDAY! Only happens once a year! Thank you for supporting independent artists, designers and local businesses. When you purchase tickets to our event, you directly support people in our community. 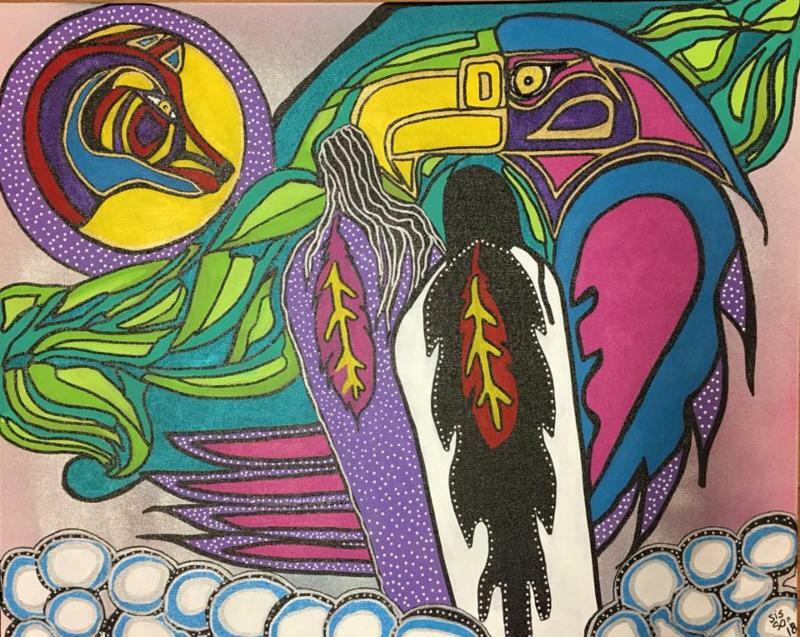 Sonia Burke Smith-Borreal Artist Institute is coming all the way from Fort McMurray, Alberta! 8TH ANNUAL EVENT FEATURING OVER 100 ARTISTS! Our Edmonton event SOLD OUT this year, don’t miss Vancouver’s event! Get inspired to make an upcylced outfit or that hat out of plastic bags you’ve always wanted to make! Our goal is to raise awareness for the environment and our ecosystem this year! Fashion Show sponsored by Designer Search International Ltd.
Patricia Plackett has had a career that includes positions in Denmark and New Zealand as well as Vancouver based on her PhDs in economics and anthropology. Today she volunteers with the Suzuki Elders and the UNESCO Biosphere Region Initiative for Howe Sound. List is updated bi-weekly until the event. Register as a vendor: https:// theartworldexpo.com/ exhibitor-information/*Limited spots remain! Registration is open for upcoming events! See below for details on how you can get involved in our national network of creativity! Limited tickets remain! Order yours today! DO YOU WANT TO SHOW AND SELL YOUR WORK WITH OUR US? Thursday-Sunday we are closed for ART WORLD EXPO! 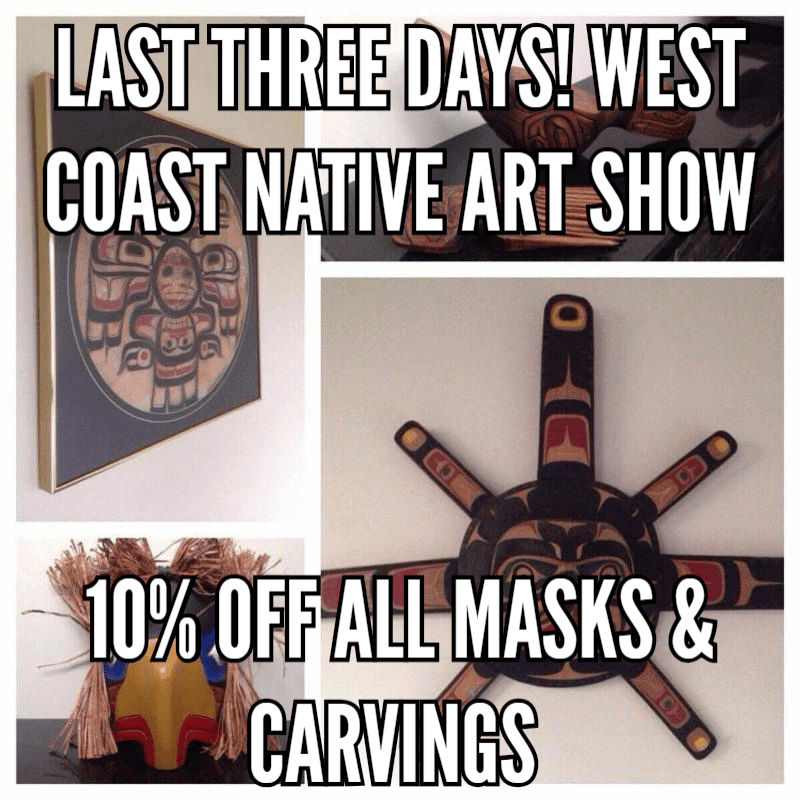 We have enjoyed the West Coast Native Art Collection show at our studio and gallery over the last 30 days! 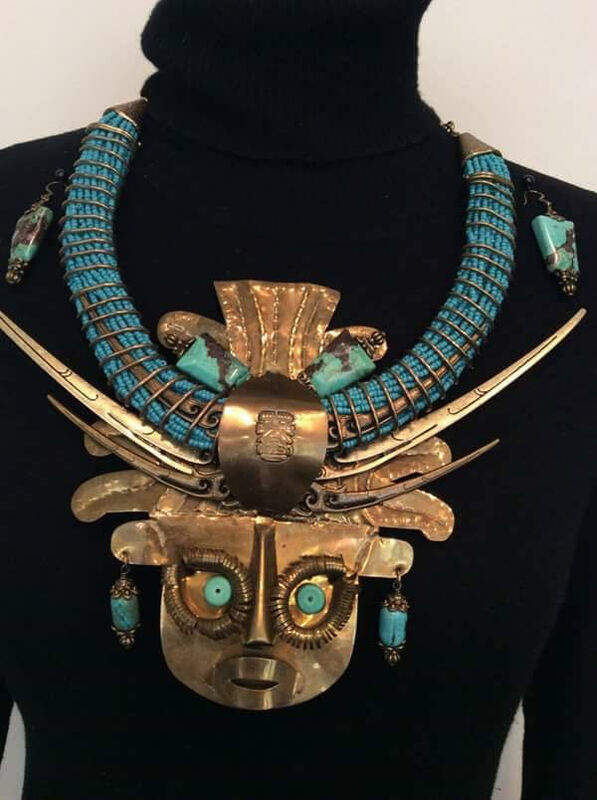 Your last chance to come in and take a look at the jewellery, masks and carvings! Show is closing Wednesday! Some great jewellery pieces still available in time for Mother’s Day! View the Event Page for Image of the Pieces! Rob Lundberg is a Brooklyn Photographer who is becoming increasingly known for both his street photography and live music shots. Originally hailing from the Boston, Massachusetts area, Lundberg’s work goes above and beyond to captivate viewers. With an approach to the lens in a fine-arts sense, his pieces not only emits beauty, but captures the true essence, spirit and personality of his subjects. Using Crown Heights, Brooklyn as a major source of inspiration for his street photos, he gets up close and personal as he brings each person’s picture to life…with a single snap. On the other end of the realm, Lundberg has been making a name for himself as a noteworthy live music photographer, shooting artists such as the buzzworthy Pinky Doodle Poodle from Japan, to big names like The National. Varying between a mixture of black and white and color, every picture shows a small piece of his personality as an artist. Recently Lundberg self-described his work in an interview with the New York Patch as “raw, organic, candid, free, gonzo, avant garde, documentarian, observational, curious,” which is spot on. This October, he will also be debuting his work in a gallery setting at the Clio Art Fair in Chelsea, New York City. The fair runs from October 19 to the 22nd. Find tickets via the link below, and be sure to check out Rob Lundberg’s series if you are in the New York area. You will not want to miss out on seeing his unique and artistic work up close and in person. It is always really exciting for me to have organizations join our events. I always really appreciate when I see a collective join as not only are they usually representing a multitude of artists, they are usually representing a community engagement process that serves those in our backyard. Today, I caught up with the team at Studio Seventy Three and asked them a few questions about their group and what they do in our community! 1-What is Studio Seventy Three? Studio 73 is a not-for-profit social enterprise with a storefront located in Surrey, supported by Community Living Society. The artists and artisans contribute in all aspects of running this business. We volunteer and engage with the community as much as we can in order to help bridge the gap between all members of society. 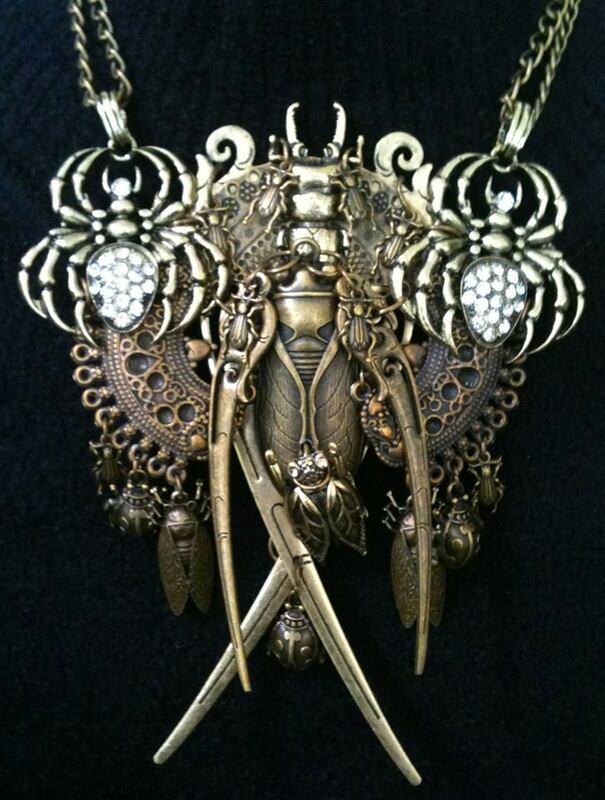 We make and sell beautiful, hand- crafted, usable and wearable art. 2-How long has the organization been running and what are the main programs offered? Studio 73 has been at its storefront location for just over two years. We offer space to other struggling local artists to sell their art for a cost that they would most likely not get elsewhere. We also provide flexible fused glass classes to the general public as well as team building classes for businesses or corporations. 3-What is your favorite part of working at the Studio Seventy Three? Well, of course we all enjoy getting our pay checks! However, we also enjoy the friendships we have made, the opportunity to express ourselves through our art and the relationships we have made in the community. 4-Have you been able to help a memorable artist in the community via your organization or is there a moment that stands out for you while working at Studio Seventy Three? We have had many memorable moments! 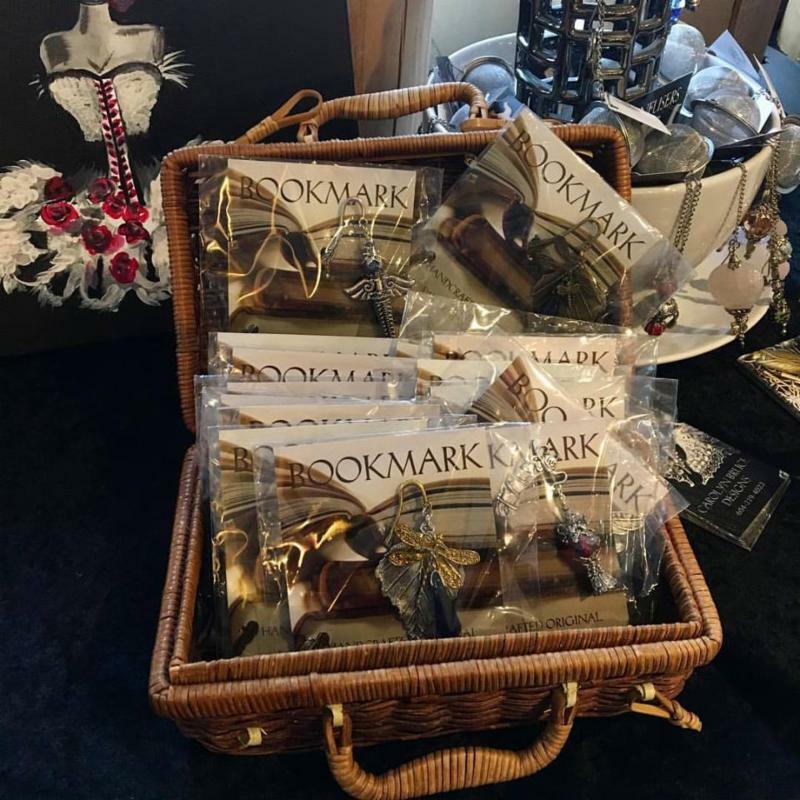 A very recent one – being nominated in the category of Arts and Innovation for the Surrey Mayors Art Award – which acknowledged those who have had a positive impact on their community. We were a top finalist for this award and feel truly honored to receive this recognition. 5-Are you currently looking for members or volunteers? How does someone get involved if they would like to be a member? 6-What are some of the goals of Studio Seventy Three in the next 2-3 years? We see ourselves with a larger storefront and more artists and artisans. For more information about Studio Seventy Three, please be sure to stop in at their exhibition space at our event and visit them on Facebook.